In the past several days a dust-up between two unusual antagonists has derailed the work of ambassadors, caused the suspension of “all new business” between the two countries — even the posting (and subsequent deletion) of a tweet that drew international outrage. Late last week Canadian diplomats called out Saudi Arabia’s decision to arrest several prominent human rights activists, pushing for the release of one in particular: Samar Badawi, women’s rights advocate and sister of a dissident writer who himself was previously sentenced to 10 years in prison and 1,000 lashes. “We urge the Saudi authorities to immediately release them and all other peaceful #humanrights activists,” it tweeted. Saudi Arabia’s ministry of foreign affairs did not take kindly to the push, viewing it as an unacceptable encroachment on Saudi domestic government — and by Sunday the ministry had retaliated with a tweet of its own, this one considerably lengthier. And the Saudis’ “sharp response” was not couched simply in words. Then, there was still another tweet — though this one did not last long, snowed under as it was by a wave of indignation. But that wasn’t what drew ire from Western viewers. 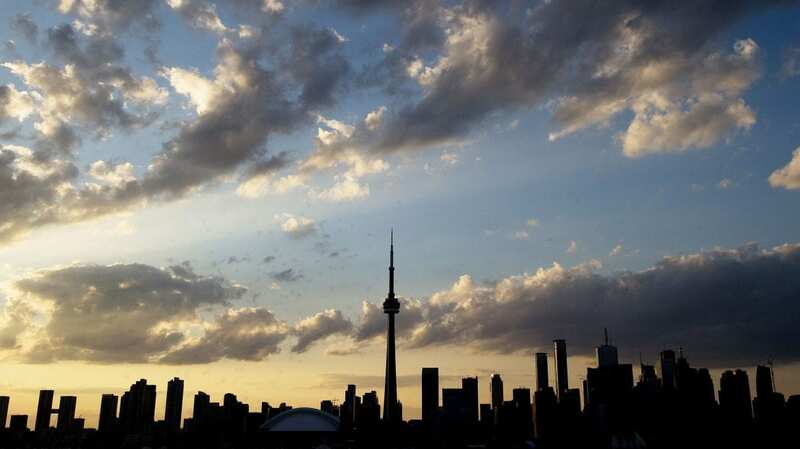 Rather, onlookers’ gazes couldn’t help but be attracted to a plane superimposed above the skyline — and directed right for the city’s iconic CN Tower. The apparent allusion was not lost on viewers, who noticed striking visual similarities to the planes that flew into another set of iconic towers, the World Trade Center, on Sept. 11, 2001. It did not help that of the 19 men who flew those planes and hijacked two more airliners on that date, the preponderance hailed from Saudi Arabia. Now, it’s no more — suspended while authorities investigate what happened. The Saudi Ministry of Media announced that it had received a complaint about the post and subsequently “ordered the owner of the account to shut it down until investigations are completed, according to electronic broadcasting laws in KSA” — but not before the account’s owners “clarified and later apologized,” according to a spokesperson for the Saudi Embassy in Washington, D.C.
Saudi officials’ hasty walkback of the image had little effect on the broader dispute between the two countries, however. The state-owned Saudi Arabian Airlines announced later in the day it would be halting all flights to and from Toronto beginning next Monday, and several of the country’s allies in the Persian Gulf region — including the United Arab Emirates and Bahrain — have issued statements backing Saudi Arabia in its retaliation. Canadian Foreign Affairs Minister Freeland, for her part, expressed defiance in a statement Monday.